The SCiFI Research Team pursues diverse projects at the interface of Financial Mathematics, Stochastic Modeling and Machine Learning. Our work has been supported by the National Science Foundation (Algorithms for Modern Power Systems and Computational Data-Enabled Science and Engineering programs run by Division of Mathematical Sciences) and Casualty Actuarial Society. Competitive markets prominently feature strategic participant behavior. We are interested in modeling the resulting dynamic equilibrium using continuous-time stochastic models. A particular emphasis is on non-zero-sum games which arise naturally in Cournot-type competition. Recent projects investigated R& D games where players compete for technological advantage, mean-field game among exhaustible resource producers, multi-stage timing games for capacity investment, and stationary switching games displayed in the figure below. The latter model allowed for explicit computation of the emergent macroscopic market equilibrium (which is a one-memory Markov chain). The bottom panel shows the evolution of the exchange rate (X_t), modeled as an Ornstein-Uhlenbeck process. The top panel shows the resulting medium-term market organization, captured by the market dominance process (M_t). The changes in M_t are triggered by actions of the two players, who switch M_t by +/-1 at the endogenously determined switching thresholds. We develop simulation-based computational algorithms for stochastic control. This work is geared towards energy applications, including valuation of natural gas storage facilities and battery management in electricity microgrids. Our Dynamic Emulation Algorithm weaves together the Regression Monte Carlo approach, nonparametric functional approximators, and experimental design strategies. DEA unifies existing Monte Carlo frameworks across a range of stochastic settings, including optimal stopping, optimal switching and impulse control. Optimal diesel generator control in a microgrid. The system state is 2D: residual net demand (demand minus renewable supply) and the state of the balancing battery. When supply exceeds demand (net demand < 0) or the battery is close to full, no diesel generation is necessary. Diesel can be run at different levels which are also optimized taking into account the switching costs and the ability to pre-charge the battery. We investigate efficient methods for emulation of stochastic experiments, viewed as stochastic black-boxes. This forms a building block for a variety of applications, such as American Option pricing, illustrated below. Compared to the well-studied surrogates of deterministic experiments, stochasticity requires handling of the underlying noise, which in practical settings is often non-Gaussian, heteroskedastic and with low signal-to-noise ratio. We have developed and benchmarked a suite of emulation and design methods, ranging from t-Processes, to Binomial Gaussian Processes to handle replicated designs. Our ongoing research programme transcends statistics, stochastics and control. Left: Classification Gaussian Process model for American Basket Put. The solid line indicates the Exercise Boundary. Right: Gaussian Process model for American Max Call. 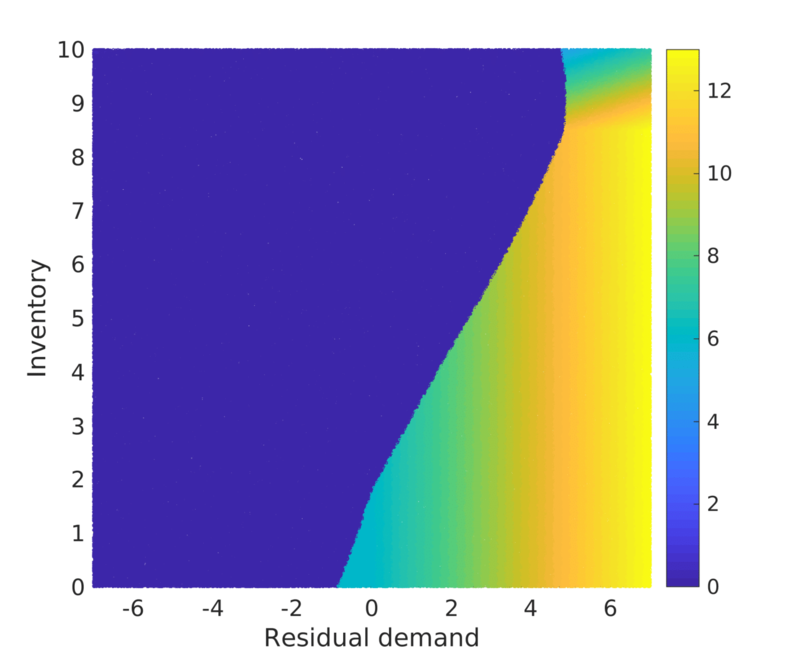 In both panels, the simulation designs are generated adaptively and include replication. In 1-D, solving an optimal stopping problem is equivalent to a sequence of Stochastic Root Finding Problems. 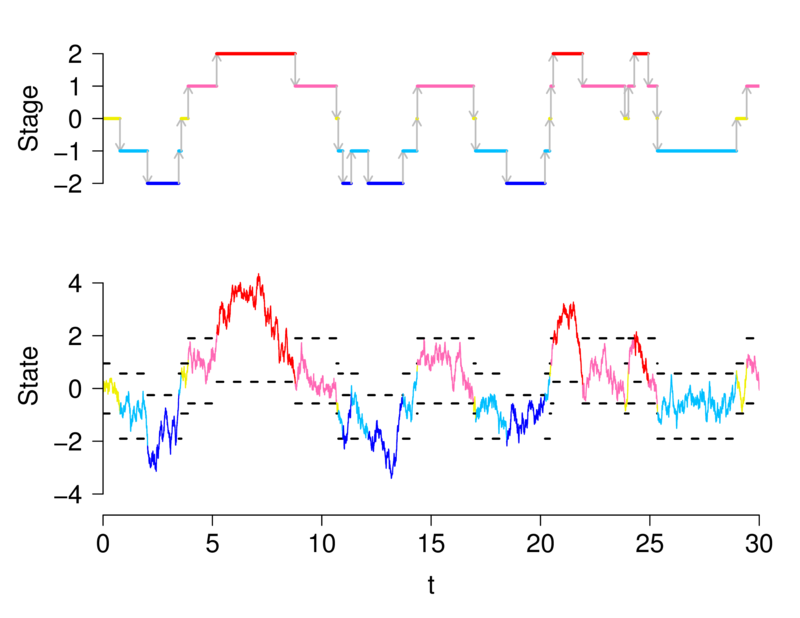 We seek efficient Sequential Design strategies for the corresponding simulation experiments that directly optimize the information gain related to the SRFP task, rather than the typical approach that optimizes information collection for the auxiliary regression problem. To this end, we explore new ideas coming from the Learning literature, in particular the Probabilistic Bisection Algorithm. The PBA performs root finding based on knowledge acquired from noisy oracle replies. To make PBA applicable in a practical context, we consider the generalized PBA setting (G-PBA) where the statistical distribution of the oracle is unknown and location-dependent, so that model inference and Bayesian knowledge updating must be performed simultaneously. We have investigated both local G-PBAs that infer oracle accuracy through repeated queries at the same 'x'-location, and spatial G-PBA that leverage the spatial structure using a non-parametric statistical surrogate for the underlying logistic regression step. 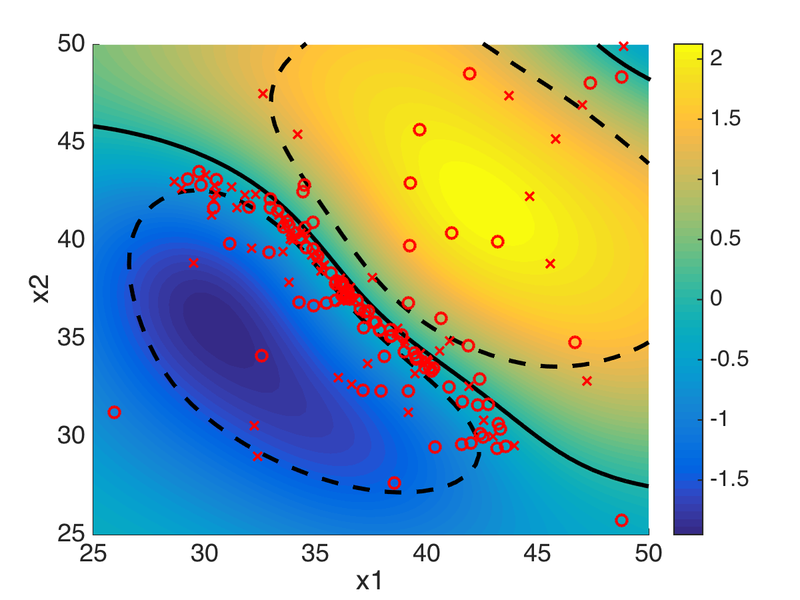 Connecting the PBA with the Gaussian Regression framework, we have developed sampling policies that adaptively balance learning the oracle distribution and learning the root. Spatial G-PBA with the linear test function. Left: initial spatial surrogate (n=25) for the probability of Oracle reporting +1. 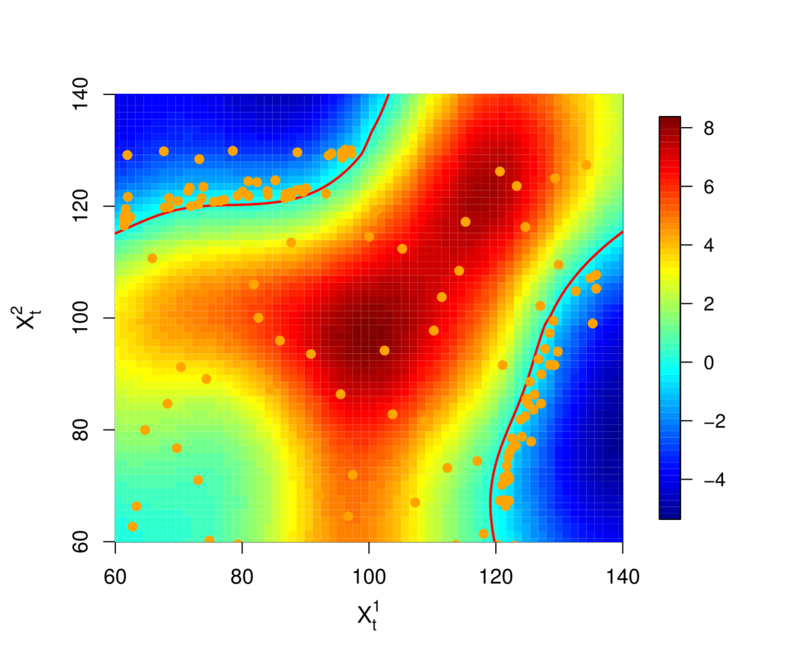 Middle: spatial surrogate at n=100 based on Information Directed Sampling policy (the x-axis is zoomed towards the true root at x=0.33). Right: posterior inter-quantile range of the knowledge state f_n (shaded regions) and the true posterior g_n as a function of wall clock time T_n. We also show the corresponding root estimates x (lines). Estimation and forecasting of mortality rates is a key task in life insurance. We are developing new statistical frameworks that bring modern uncertainty quantification concepts to this domain. 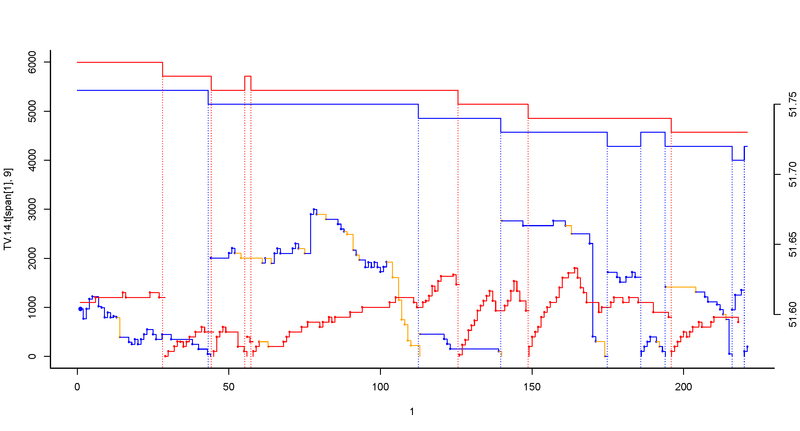 Our proposed use of Gaussian Process models offers a flexible, hierarchical paradigm for smoothing raw mortality experience, inferring mortality improvement rates, and generating stochastic scenarios of future mortality. A key benefit is a model-consistent output of credible bands around historical/current mortality rates, credible bands of mortality improvement rates, and credible intervals for value of actuarial products such as life annuities. Presently, we are investigating multi-population models, as well as advanced spatial covariance structures to capture cohort and international longevity trends. 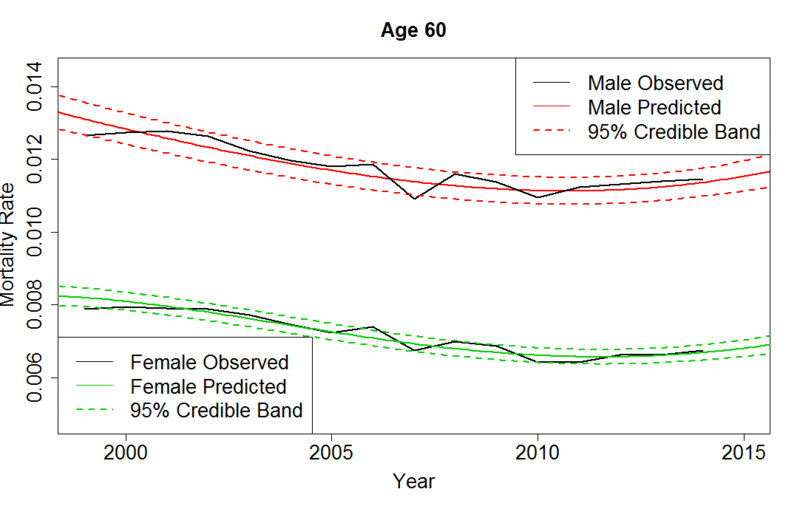 Left: Estimated mortality rate at age 60 for US Males and Females using a Gaussian Process model. We show the estimated true mortality rate compared to raw rates (black) and the inferred 95% credible band. 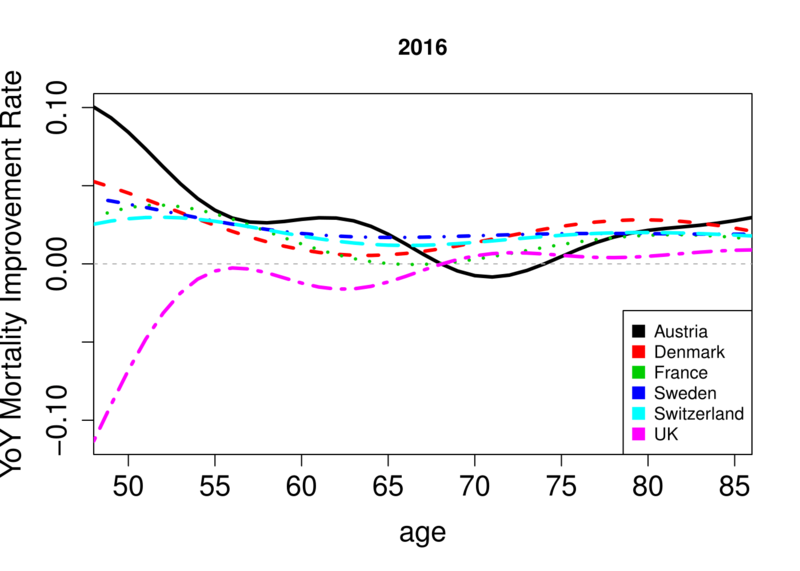 Right: GP-based estimates of mortality improvement rates across several European countries. For optimal execution and market making purposes, one generally wishes to aggregate high-frequency (sub-second) limit order book data into the scheduling time-scale of 1-10 minutes. This is also the appropriate scale for defining price impact, information leakage and book resilience. We are investigating LOB behavior on this meso-scale, especially the link between limit order flow, executed trade and price formation. Left: Episode of limit order book with weak resilience. Executed trades are causing ``fading'' of posted limit orders, generating strong price impact.